Penny stock scams have been a problem for years. However, many of them are taking a new angle. Many of them are targeting people that are passionate about green living. 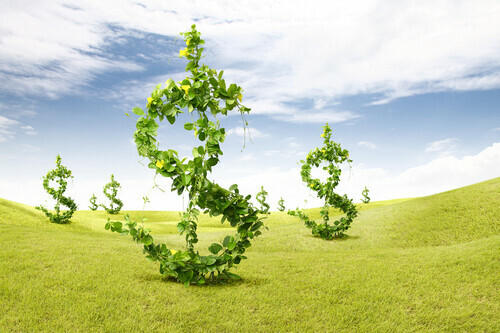 Sustainable companies have shown that they can have a great profit margin. They are able to trim their costs significantly by using more eco-friendly sources, which tend to use less energy over the long-term. The initial cost may be higher, but the long-term savings can be massive. Sustainable companies have massive brand appeal, since the number of customers focused on sustainable living is surging. The demand for green companies is surging. A poll from last year found that 86% of customers expect companies to use sustainable practices. This is an increase from 53% in 2007. Unfortunately, some companies claim to support sustainability just to take advantage of unwitting sustainable investors. Davenport Laroche warns that we must be wary of them. According to financial guru Davenport Laroche, penny stock scams are at an all-time high and investors should be aware. Specifically, the Vancouver, Canada-based company Pacific Income LP is one of the main perpetrators of pushing risky penny stocks. The stock typically promoted by Pacific Income has small market capitalization and traded at a lower price. The hidden risks in these stocks are due to lack of liquidity, limited following, and other factors. Pacific Income’s game is to cheat eco-friendly investors through raising money for scam stocks with misinformation and fake news. Company’s like this are often able to get away with this because they operate in an environment with loose regulations. Because of the scams, investors merely looking for a few more aggressive stocks for their portfolio end up with risky Canadian penny stocks. The wide swath of misinformation is not new to the Canadian penny market. Social media has played an enormous role in pushing such companies. Laroche says his concern is that penny stock investors will face complete wipeout if Pacific Income suffers heavy losses. Davenport says of all the mistakes first-time sustainable investors can make, investing blindly in penny stocks could be the worst. Monies usually secure penny stock investments after the bank receives payment. However, with so much fake news swirling around, it will be nearly impossible for investors to take possession. This, in turn, could lead to hefty legal fees that would wipe out any potential returns. The hook with Canadian penny stocks with green companies is that while they may initially seem profitable, the bottom can quickly fall out. Low-quality penny stocks can make a bundle of money in the beginning. However, there is no guarantee that it will last–and in most cases, it won’t. The fake news being pushed by Pacific Income online is having severe consequences for investors. The hyper-partisan rhetoric is being used to manipulate public opinion. On some occasions, Pacific Income LP has gone as far as fraudulently claiming they have made deals with large companies with household names. So again, investors should understand that short-term success doesn’t always lead to the same in the long run. Only invest in established green companies. Avoid stocks in the media limelight. According to research, Pacific Income LP is here to stay. Moreover, others are popping up as we speak. Just remember, jumping into stocks based on media hype could end up costing you a bundle. Use your head to make sound investment decisions. Green penny stock scams are becoming a bigger problem than ever. You must be wary of them. Look for established companies with a great track record and improving financial metrics.